HomeBlogBlogThe Work of the Blood can be Hindered! The precious truth about the blood of Jesus is that it cleanses and enables us to approach the presence of God with boldness. Like most other spiritual truths however, we need to see that the activity of the blood is both conditional and unconditional. God released the power of the blood upon our lives as we first repented and turned to him. His promise through Ezekiel was that He would cleanse His people from their sins. He would remove our filthiness and make us whiter than snow. Al this activity happens in us because of His calling upon our lives. We were convicted of our sins and through the blood we were forgiven. The cleansing work of the blood does not continue on its own. Yes, we have been granted access into His presence because of the blood. However, we also need to plead the activity of the blood and maintain the right posture for it. To maintain a self righteous attitude means that we are hindering the activity of the blood. We have been given the cleansing. We are also exhorted to cleanse ourselves. We drink the wine to signify the ongoing activity of the blood. Our faith is in its cleansing power but our posture should be one of repentance as well. 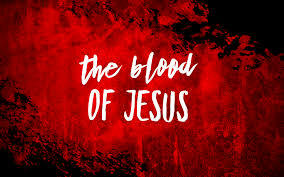 To accept the power of the blood means that we are admitting we need to be cleansed. To deny its power means that we are not seeing our defilement or willing to accept that we need to be washed.